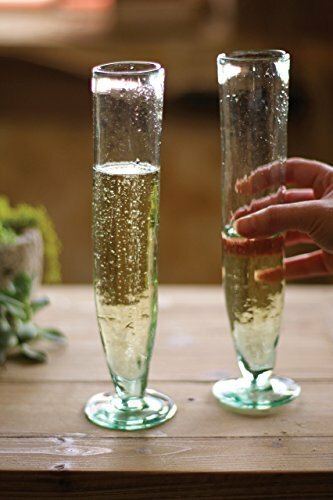 Kalalou tall recycled Champagne flute . 100% recycled glass. Sold in Boxes of: 6 Each. Dimension: 2.5"d x 10"t min 6.